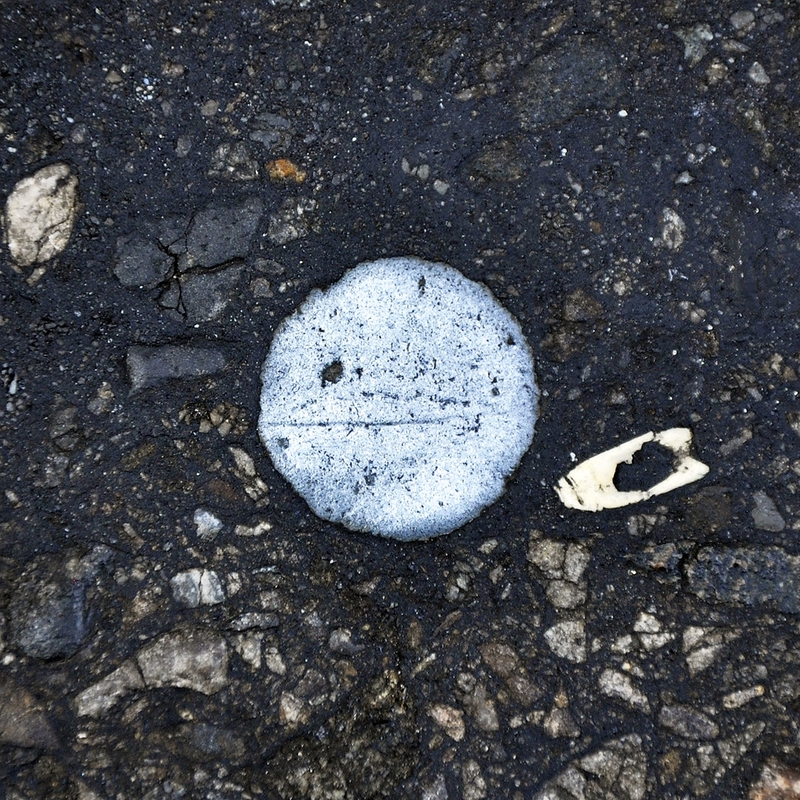 My studio is located in New York’s Lower East Side, close to the famous Bowery Mission. 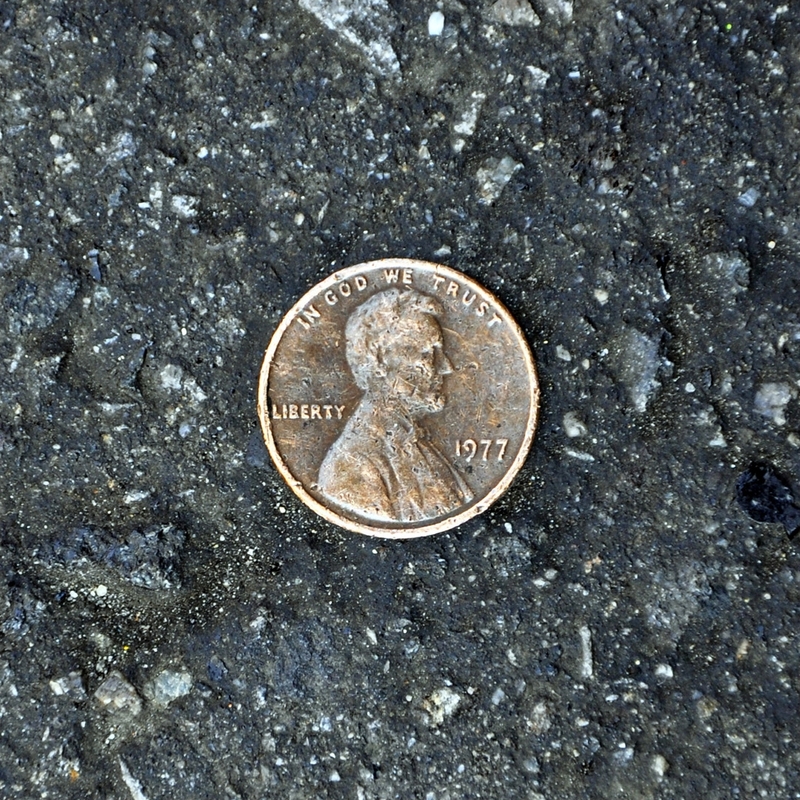 Homeless guys taking shelter there frequently panhandle in the streets close to the mission. 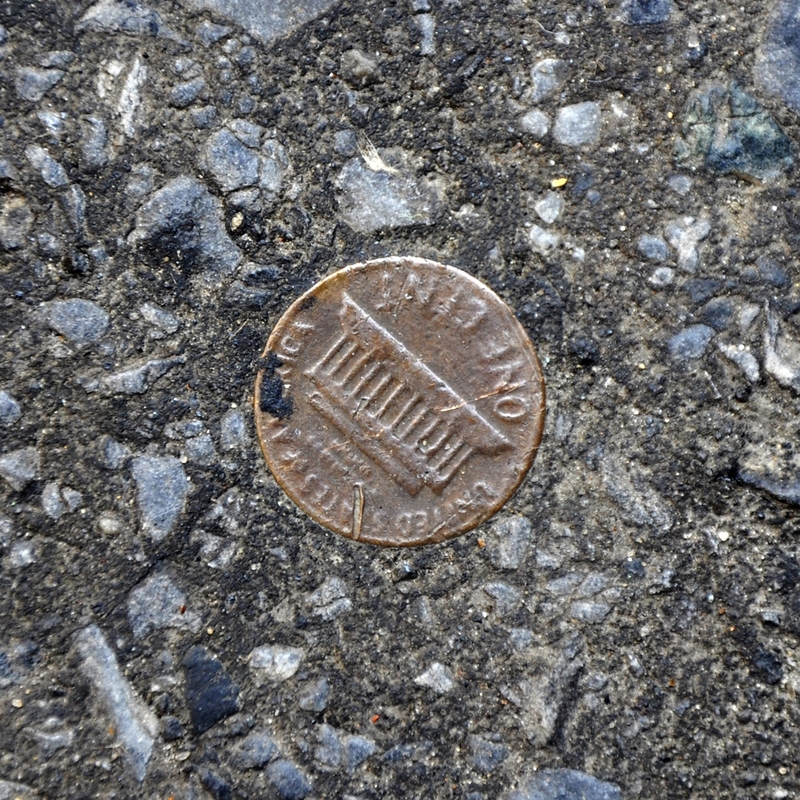 Whenever they get a penny they throw them right out, since none of the stores around the neighborhood would allow these guys to pay with one cent coins anymore. 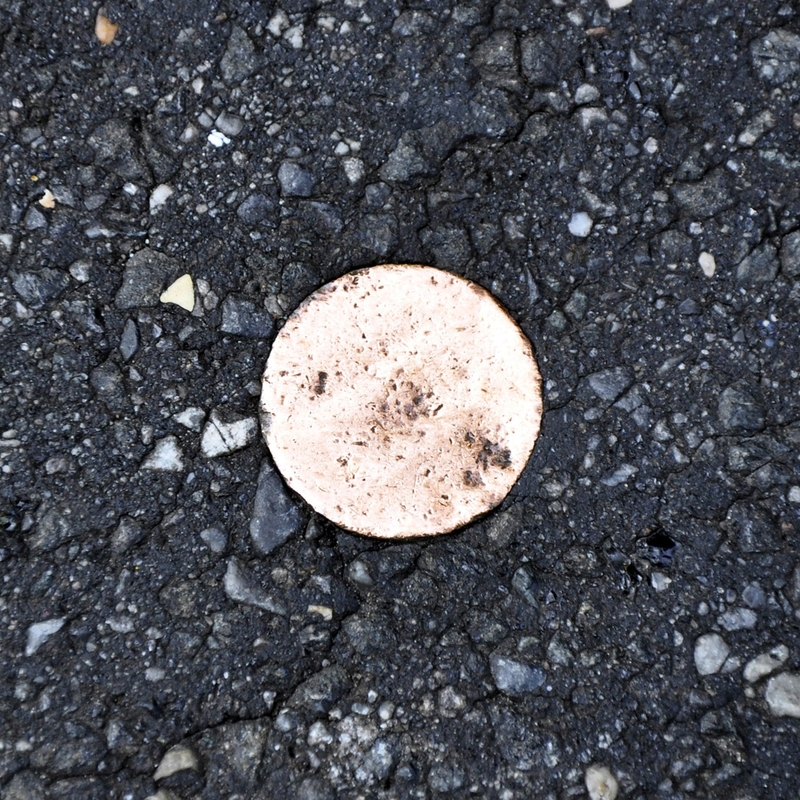 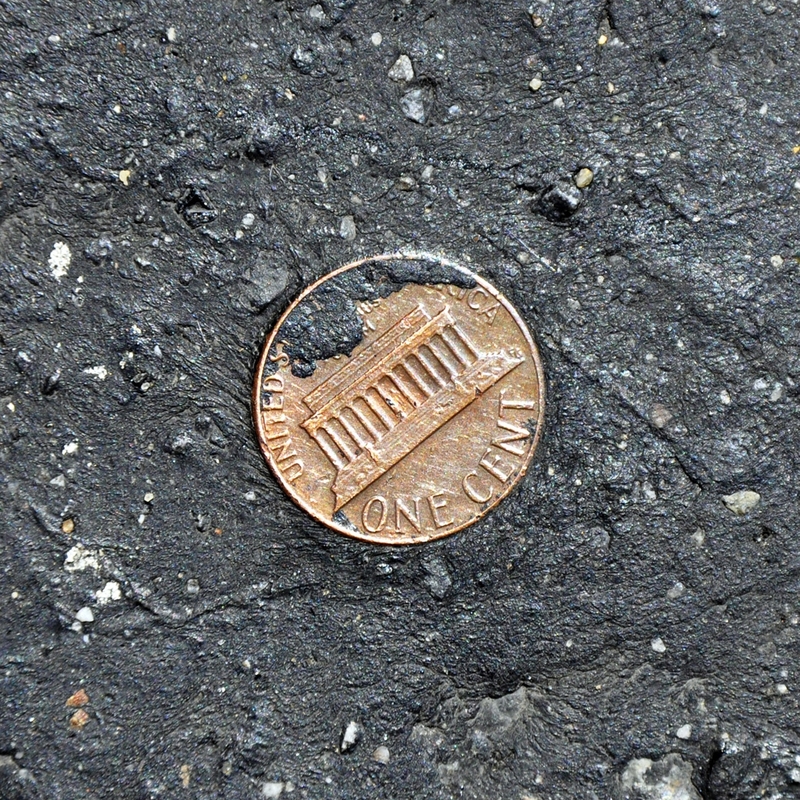 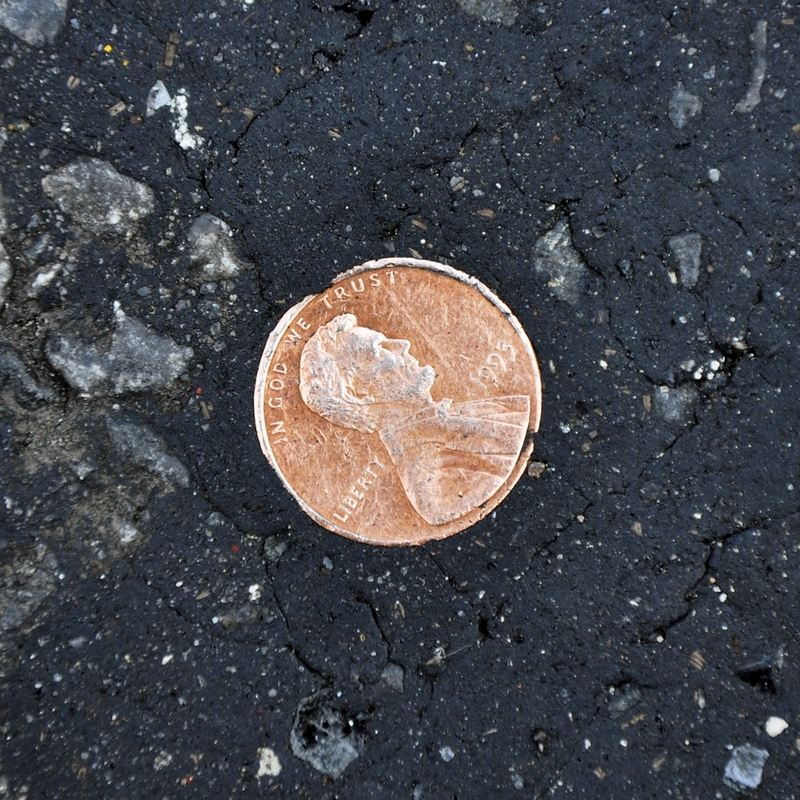 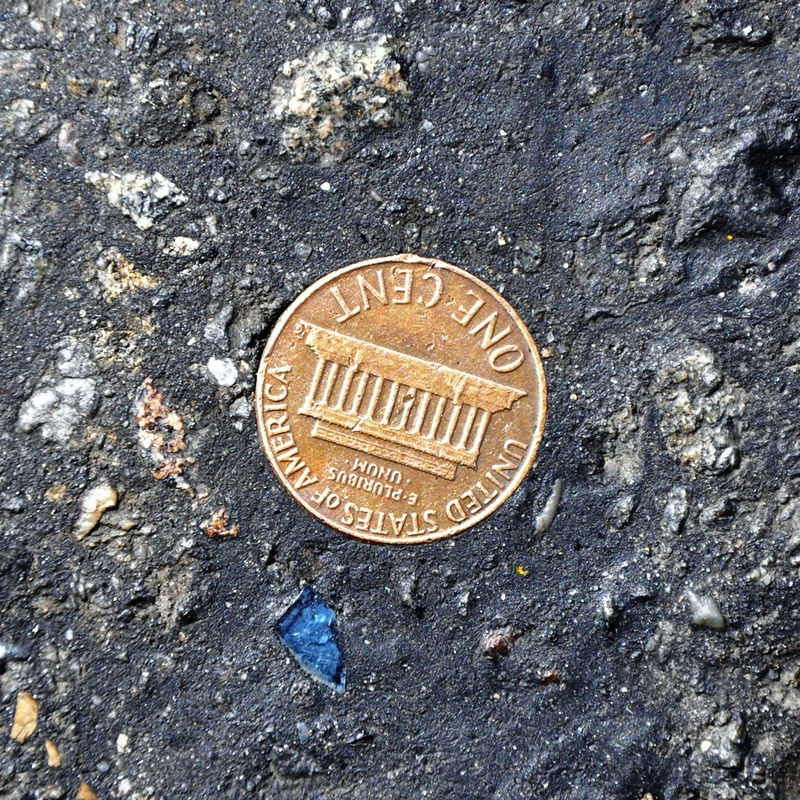 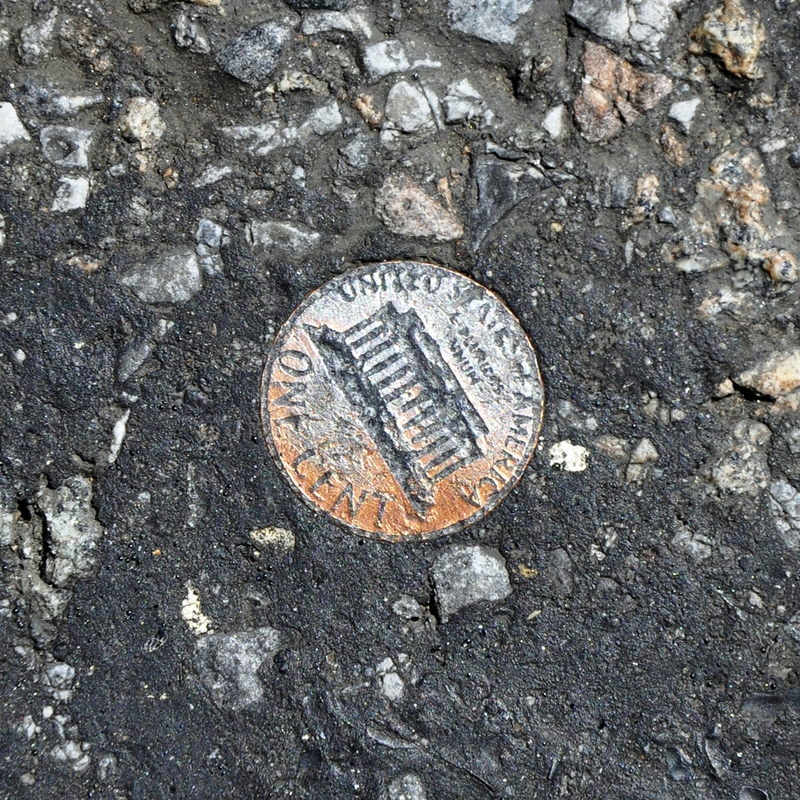 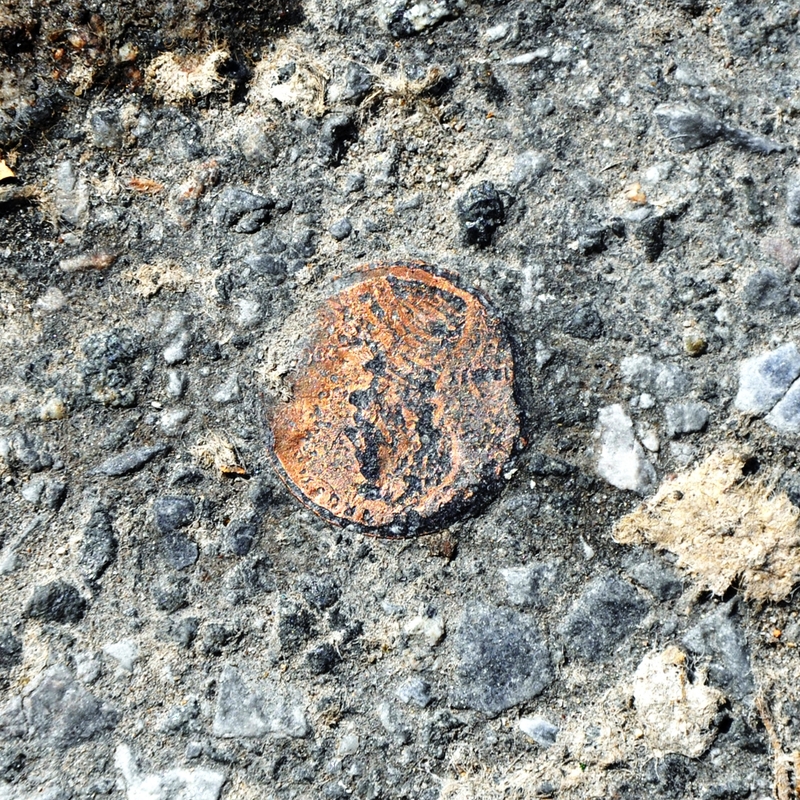 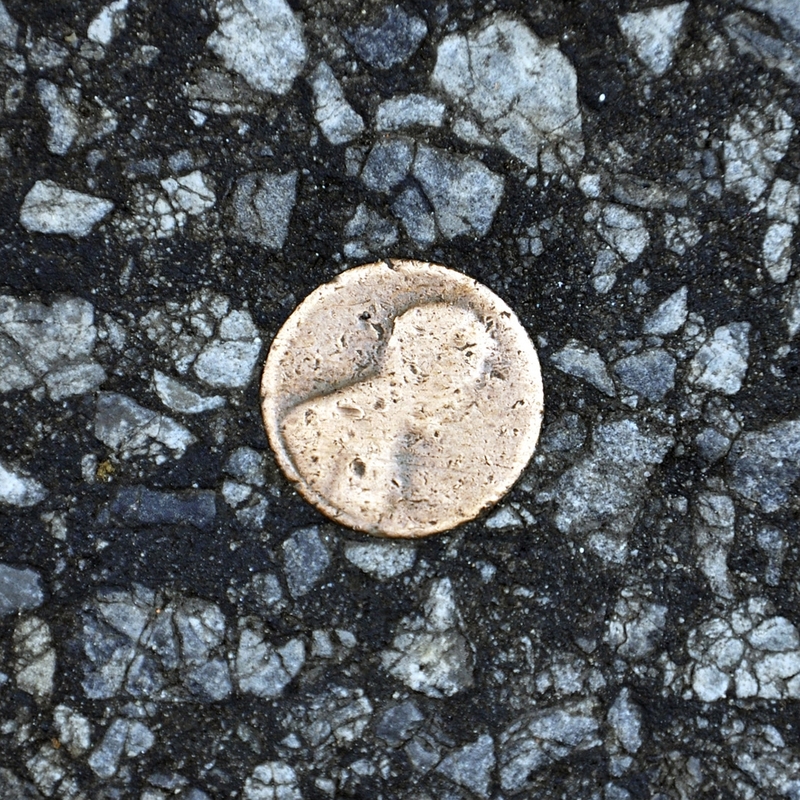 Naturally, the coins end up on the streets where cars press them into the hot asphalt over time. 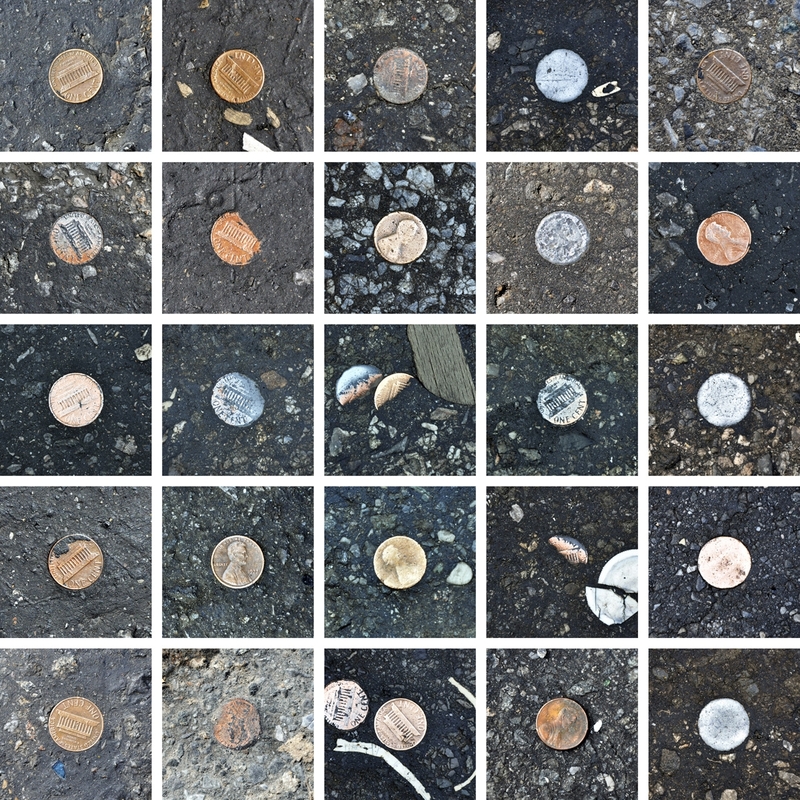 For the past few years I have been taking pictures of these coins and this book is a collection of 25 of these pictures, documenting the literal devaluation of the dollar.